The markets comprise several thousands of companies listed and it can get very messy trying to figure out what are the current trends. However, an easy way is to track it is via the volume leaders, since they represent the most popular stocks with high turnover. On Tuesday, among these stocks, the most traded are: Bank of America Corp (NYSE:BAC), Intel Corporation (NASDAQ:INTC), General Electric Company (NYSE:GE), Microsoft Corporation (NASDAQ:MSFT), and Sprint Nextel Corporation (NYSE:S). 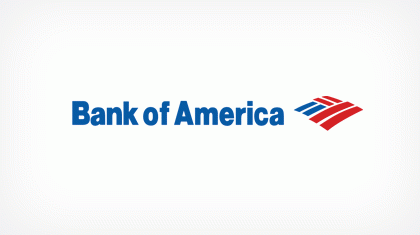 Bank of America Corp (NYSE:BAC) in deals worth almost $98.2 million, has advanced by 3.58% to $12.14 per share. Today, before the market’s opening, Morgan Stanley increased the rating of Bank of America Corp (NYSE:BAC) to “overweight” from “equal weight”, according to Schaeffer’s Investment Research. Betsy Graseck from Morgan Stanley had previously set a $13 target, but in a note to clients this morning, she raised it to $16, Insider Monkey reported. Intel Corporation (NASDAQ:INTC) gained 1.94% to $23.22 in turnover worth $35.8 million. Intel Corporation (NASDAQ:INTC) has recently posted below-expectations financial results, which showed a 25% decline in overall profit and EPS missed Wall Street’s expectations by $0.01. In deals worth almost $29.3 million, Microsoft Corporation (NASDAQ:MSFT)’s shares picked down 0.13% to $30.79. The stock began to gain ground after information had been released that ValueAct purchased a $2 billion stake in Microsoft Corporation (NASDAQ:MSFT). In this way, according to Bloomberg, Microsoft Corporation (NASDAQ:MSFT) will be the largest position in the portfolio of ValueAct. While ValueAct is specialized in investing in failing companies with good fundamentals, this could be the case for Microsoft Corporation (NASDAQ:MSFT). “In three to five years, which is our time horizon, we’ll stop talking about PC cycles and instead talk about Microsoft as the largest cloud-computing company in the world,” Bloomberg quoted ValueAct CEO Jeffrey Ubben as saying at a conference in New York. General Electric Company (NYSE:GE) grew by 1.31% to $21.63 in deals worth $28.5 million. A couple of days ago, General Electric Company (NYSE:GE) posted its financial results, which showed a huge, 90% drop over the year in actual cash generated from operating activities, which amounted to $0.2 billion in the first three months of 2013. Sprint Nextel Corporation (NYSE:S) inched down by 0.35% to $7.15 in turnover worth slightly over $23.1 million. There have been some moves going on around Sprint Nextel Corporation (NYSE:S) for days now, since DISH Network Corp (NASDAQ:DISH) proposed to purchase Sprint Nextel Corporation (NYSE:S) under a deal worth $25 billion.